A chocolate cookie crust (baked only 10 minutes!) 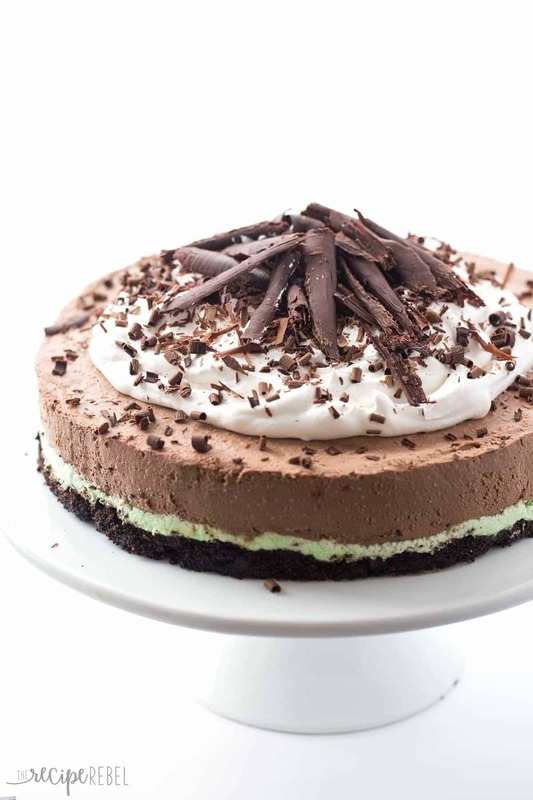 topped with creamy mint filling and topped with rich, luscious no bake chocolate cheesecake filling! Top it with whipped cream and chocolate curls for an impressive make ahead holiday dessert! Did you realize that Lindt chocolate is one of the things I look forward to most during the Christmas season? A year hasn’t gone by in quite some time where there was no Lindt chocolate in our stockings, and for good reason. It’s incredible. So when I got the opportunity to share some incredible chocolate Christmas recipes with you featuring Lindt chocolate, it was a no brainer. There are endless ways to enjoy Lindt, whether it be for holiday treats, gifting, decorating or entertaining! In Lindt’s The Season magazine you can find 24 days of Christmas inspiration to make the season truly magical. Would you believe I was a little stumped on what to make for you? Sometimes when you’re given an ingredient of the best quality, all you want to do is stuff it in your face. You know? But since Lindt’s Swiss Maîtres Chocolatiers are passionate about creating unique and delicious chocolate experiences, I wanted to make something that really showcased the chocolate. 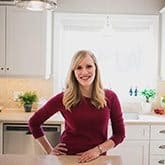 I had lots of ideas for chocolate Christmas bark or fudge, but I feel like sometimes the few weeks before Christmas are the only times we make some of those treats and I wanted to bring you something you would want to eat on Christmas, and the other 364 days of the year, too! A good (almost!) no bake cheesecake is something you can use all year round. 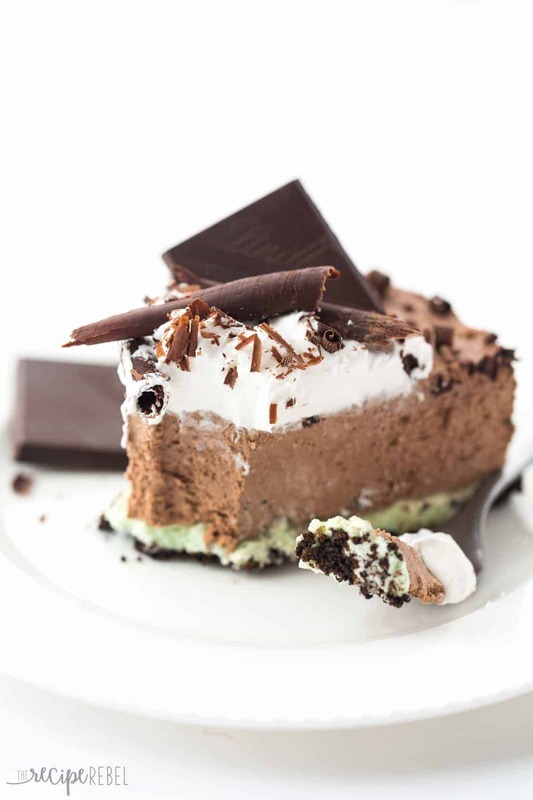 I added a mint filling layer to make this a mint chocolate cheesecake to give it a festive holiday spin, but you can easily omit that or substitute it with another flavour you enjoy to suit whatever day or holiday you’re making it for! There are 3 100g Lindt chocolate bars in the recipe, so this cheesecake is all about the chocolate. The melted chocolate and the gelatin help the cheesecake keep its shape once its cut and gives it an incredibly indulgent, smooth texture. Feel free to use any of the plain Lindt chocolate bars you prefer — dark chocolate and milk chocolate will work equally as well for the cheesecake! I garnished with whipped cream and chocolate curls, but some crushed mint candies would make a great addition as well. This cheesecake is “Almost No Bake” because the crust is baked for a mere 8-10 minutes. This is completely optional, so you could skip it and make the recipe totally no bake, but I find baking the crust just for a bit helps it to stay together and cut easily. 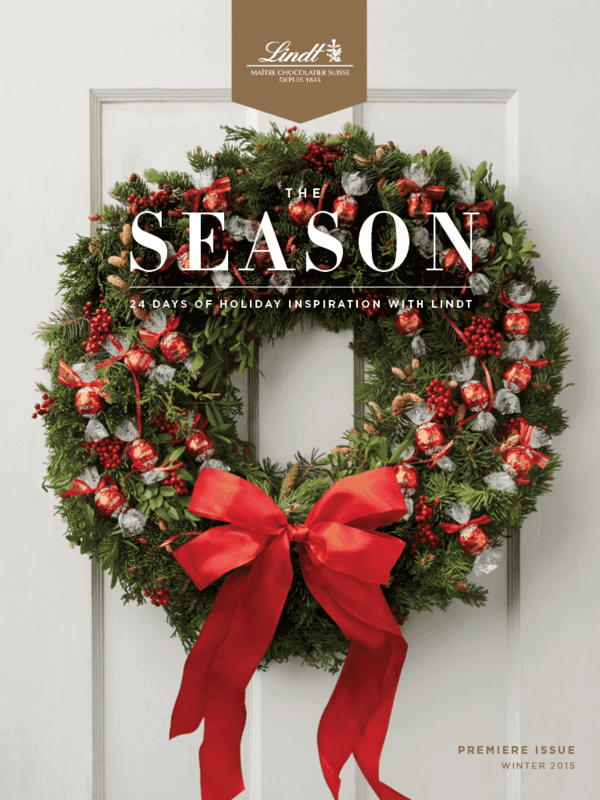 If you love Lindt as much as I do, you’ll want to check out the #LindtTheHalls Retweet to Win contest hosted by @sheblogsmedia for a chance to win 1 of 3 Lindt Holiday gift baskets, each including a $150 VISA gift card. Contest runs from Dec 7-11, 2015. See the contest details here! Crust:Preheat oven to 350 degrees F. Grease a 9" Springform pan with non stick spray. In a medium bowl, combine chocolate crumbs and butter. Press into the bottom of the Springform pan. Bake for 9-10 minutes or until top appears somewhat dry. Set aside for 30 minutes to cool. Mint filling:With an electric mixer, mix butter, powdered sugar, milk and mint extract on low until combined. Beat on high for 1 minute. Spread over cooled crust. Refrigerate until cheesecake mixture is ready. Cheesecake:In a small pot, sprinkle gelatin over cold milk (no heat) and let sit for 1 minute. Add the 3 Lindt chocolate bars and heat over medium heat, stirring constantly, until melted and smooth. Set aside for 30 minutes to come to room temperature. In a large bowl, beat cream cheese and sugar until smooth. Add melted chocolate mixture and beat until combined and fluffy. Add whipped cream and stir slowly to combine. Spread over mint filling in pan. Refrigerate at least 4-6 hours or up to 5-6 days before garnishing and serving. Garnish:Microwave Lindt 70% Dark Chocolate Bar on high for 7-10 seconds. Using a vegetable peeler or bench scraper, scrape large chocolate curls from the back of the bar. (This would work well with any of the Lindt chocolate bars!). Top cheesecake with whipped cream, chocolate curls or shavings and squares of Lindt chocolate as desired. Preheat oven to 350 degrees F. Grease a 9″ Springform pan with non stick spray. With an electric mixer, mix butter, powdered sugar, milk and mint extract on low until combined. Beat on high for 1 minute. Spread over cooled crust. Refrigerate until cheesecake mixture is ready. In a small pot, sprinkle gelatin over cold milk (no heat) and let sit for 1 minute. Add the 3 Lindt chocolate bars and heat over medium heat, stirring constantly, until melted and smooth. Set aside for 30 minutes to come to room temperature. Microwave Lindt 70% Dark Chocolate Bar on high for 7-10 seconds. Using a vegetable peeler or bench scraper, scrape large chocolate curls from the back of the bar. (This would work well with any of the Lindt chocolate bars!). Cheesecake recipe adapted from Taste of Home. 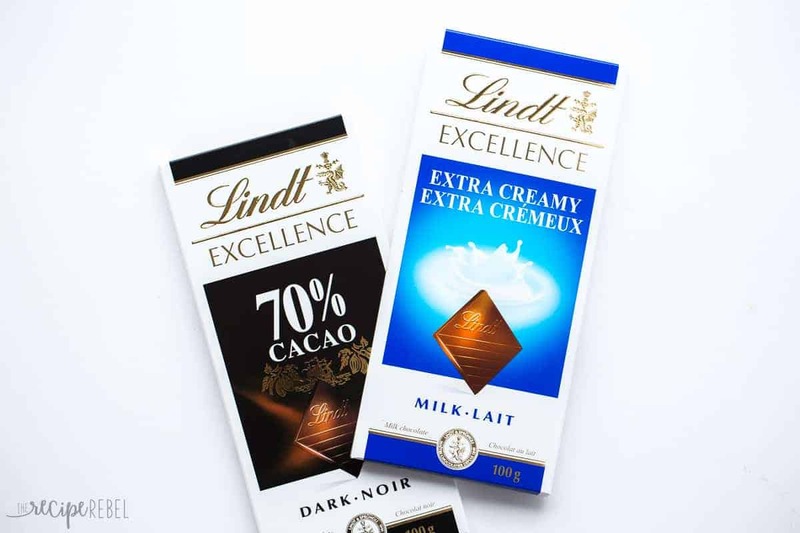 *Although this post has been generously sponsored by Lindt & Sprüngli (Canada), Inc., the opinions and language are my own, and in no way do they reflect Lindt & Sprüngli (Canada), Inc. Curious how the mint layer is green in your photos. Did you add food coloring? YES to everything Lindt.. my favourite chocolate brand ever. LOVE this cheesecake recipe. That is just fantastic. Mint and chocolate is my absolute favourite combination. In a cheesecake with Lindt chocolate? That’s heaven! Christmas is my favorite time to bake too and I would love to add this to my ever growing list 🙂 It’s the prettiest cheesecake ever!!! 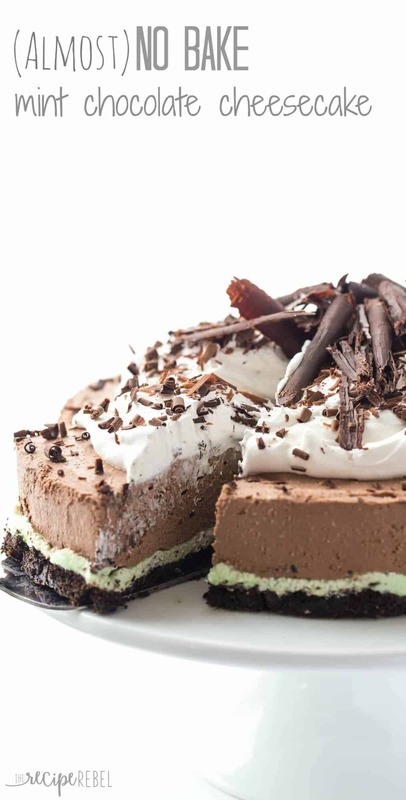 Chocolate and mint desserts are a big hit around our house! Thanks Dorothy! The mint is pretty subtle — it’s all about that fabulous chocolate! What a gorgeous cheesecake, Ashley! 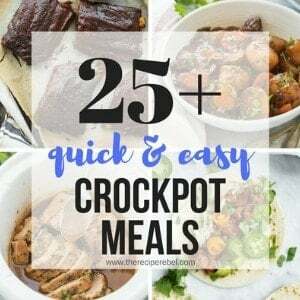 Love how impressive, yet easy, it is! Ashley, this cheesecake is stunning!!!! I LOVE the mint filling!!!! and that Lindt giveaway sounds amazing! This looks SO good, Ashley!! I love all things mint chocolate during the winter and anything that’s no-bake is a winner in my book 🙂 pinned! Thanks Rachel! It’s definitely one of my favorite combos, especially at Christmas! That looks like the best cheesecake I have ever seen! I love mint and chocolate! Gorgeous photos too! You make the best no0bake desserts, Ashley!! I never think of myself as a big dessert person but everytime I see one of yours I get so hungry! I love the mint and chocolate together! If you needed a sign, that’s definitely a good one! 😉 Thanks Annie! Ashley, this cheesecake is stunning! 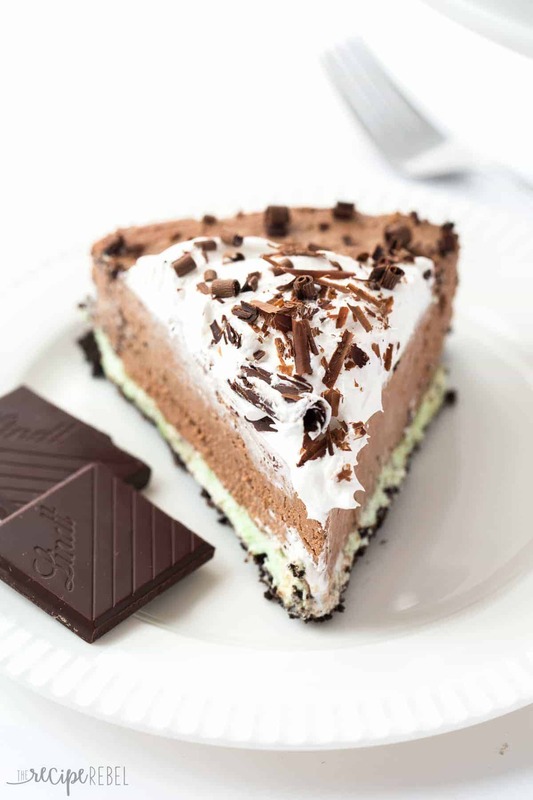 Lindt chocolate is amazing, and I’m sure it makes this cheesecake just amazing. 🙂 Beautiful layers — this is such a gorgeous holiday dessert! This looks like the perfect cheesecake to serve guest during the holidays or any time of the year. I know my husband loves Lindt chocolate, I’m sure I would too if I wasn’t allergic. lol. This (almost) no bake cheesecake is a stunner, girlfriend! Love how easy this is to prepare and who doesn’t love mint and chocolate? So perfect for the holidays! Pinned! Cheers, my dear! This cheesecake is absolutely gorgeous, Ashley! Christmas is my favorite time of the year to bake, too. And I just tell myself that calories don’t count! 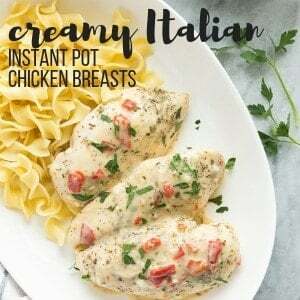 🙂 I love how thick and delicious this looks! What a perfect holiday treat! 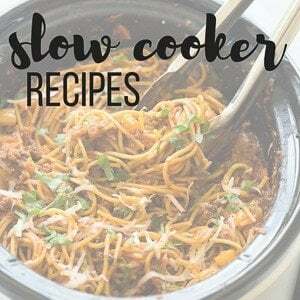 Haha, yeah I’m working on some January recipes now to try to even things out 😉 Thanks Gayle! I am ALL for no-bake this time of year! Especially if it involves me keeping out of the kitchen! I’d REALLY love to just dig a fork into my screen right now—this looks insane, Ashley!